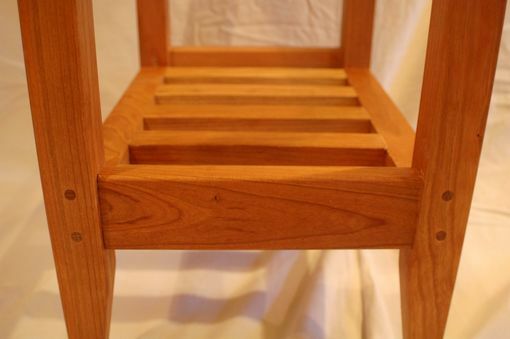 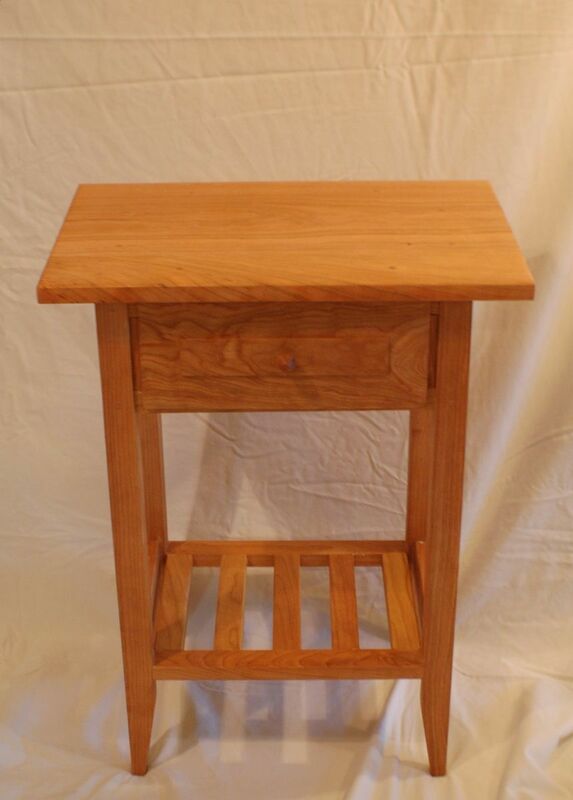 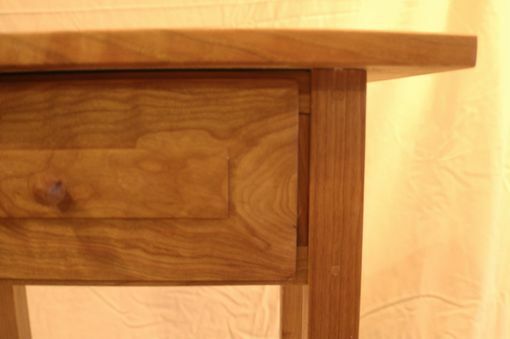 This is a cherry nightstand that measures 24 inches tall by 12 inches thick by 18 inches wide, with an eight inch drawer .It is made with high quality cabinet grade cherry, and joined with all mortise and tenon joinery, reinforced with doweling to insure there is no separation of the joint over time. 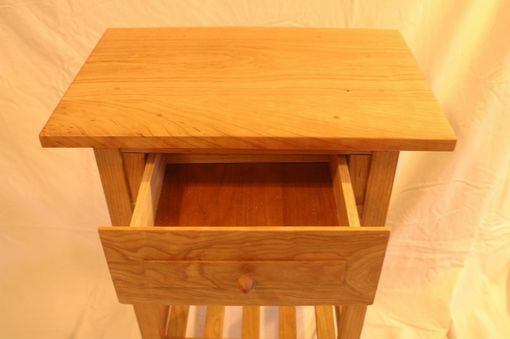 It is built to be both long lasting and elegant. 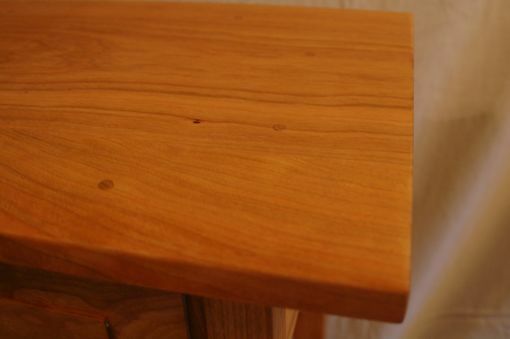 This table is hand built with no factory work involved. 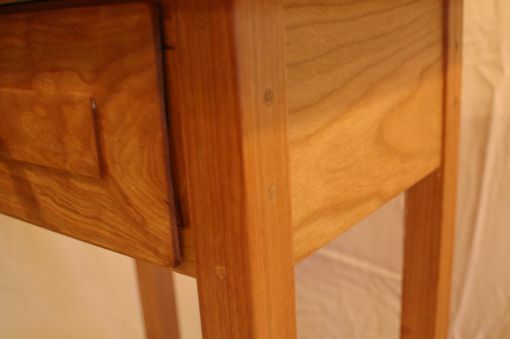 I craft each piece personally in my home shop, down to the pull knobs on the drawers.